Transoft Solutions completes acquisition of Airtopsoft. Transoft Solutions Inc., a global leader in transportation engineering design and analysis software, announced today that its Belgian affiliate company has acquired Airtopsoft SA, a leading developer of airspace and airport modeling solutions. 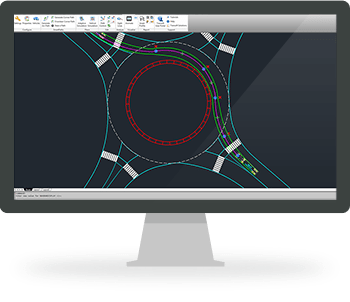 AutoTURN® is the vehicle swept path analysis software of choice for transportation engineers, architects, and planners worldwide. Trusted in over 120 countries and available in 7 languages. Supported by our field testing and continously updated and expanded vehicle libraries, AutoTURN has become the defacto standard software of its kind for government agencies and top engineering firms. We have over 50 webinar recordings that you can watch on demand. Introduction webinars to our software but also other topics like special transport.